Rog’s new bike showroom in BTC City Ljubljana • BTC d.d. Visitors to the showroom will be able to admire, test, and buy regular production bikes, unique limited edition bikes, and other Rog products. Eventually, a bike repair and maintenance service will also be available. 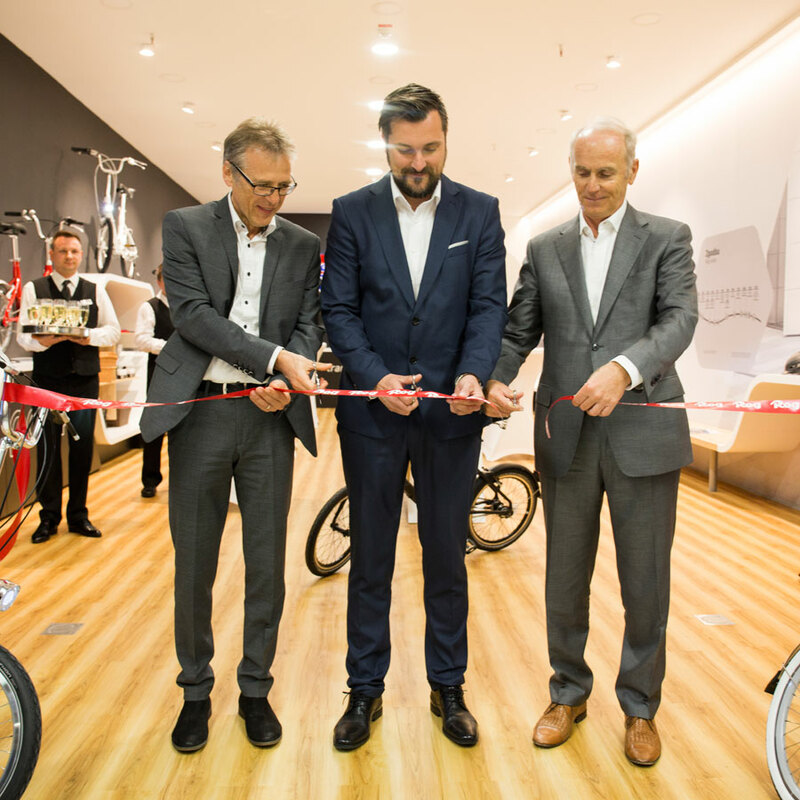 The opening of the showroom coincided with the release of the new Pony bikes – attractive modern bikes with perfected ergonomics and high quality materials. They come in no fewer than 28 different versions, including fixed-gear models, models with three or five gears, and a variety of colours. On opening day, three famous Slovenians received their very own limited edition Pony bikes. Ciril Komotar, more commonly known as blogger Komotar minuta, Tjaša Kokalj Jerala, and Peter Poles happily rode around the showroom and tested how easily foldable their new aluminium additions really were. The bikes are designed to fit different body types, as well as younger riders, since even their brake levers are adjustable – they are truly meant for everybody. “The opening of this showroom represents another milestone in the story of modern Pony bikes. We are seeing a great increase in sales, so the bikes have definitely piqued the public’s interest. Up until this point, bike fans could only admire the new Pony bikes online. From now on, they can also appreciate them, try them out, and convince themselves of their quality, which is the fruit of Slovenian knowledge and research, in BTC City. In the coming days, we are sure to spot some of them on Slovenian streets, since we recently started the production and already delivered the first bikes to their new owners. Many thanks to all who have made it possible for us to open this showroom, which is about to host some interesting events, especially to the companies Gorenje and BTC, and the owners of GOR Kolesa,” said CEO Rok Lesjak. Additional information, including the bikes’ technical specifications and available colours, is available at rogbikes.com. Rog invites anyone who might be interested in the bikes to come take a look every workday from 9 a.m. to 8 p.m. in Hall A in BTC City Ljubljana, where the welcoming staff will gladly assist them with a detailed presentation.